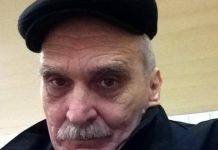 Во вторник 26 июня, румынский депутат Виорел Бадэа, который возглавлял комиссию по наблюдению за президентскими выборами 11 апреля в Азербайджане опубликовал заключительный доклад. Основные моменты этого доклада говорят о том, что досрочные президентские выборы 11 апреля в Азербайджане прошли в условиях ограниченных свобод и в соответствии с законами, ограничивающими основные права и свободы демократических выборов. B докладе говорится о том, что в Азербайджане скомпрометированы демократические принципы и не соблюдается верховенство закона. Кандидаты в президенты воздерживались от того, чтобы критиковать нынешнего президента, который как и они был на тот момент кандидатом в президенты. День выборов характеризовался повсеместным пренебрежением к обязательным процедурам и многочисленными случаями серьезных нарушений и отсутствия прозрачности. Международные наблюдатели зафиксировали многочисленные случаи нарушений обязательных процедур. Голосование было оценено отрицательно на более чем 1 300 избирательных участках, что является очень большим числом и вызывает серьезную озабоченность. Работники избирательных участков мешали работе наблюдателей. Тем не менее, наблюдатели фиксировали факты массового сброса бюллетеней в избирательные урны, подделки подписей в списках избирателей, а также группового голосования на некоторых участках. На 72% избирательных участках присутствовали неизвестные лица, которые вмешивались в работу Избирательной комиссии и давали им указания. При этом, официальным наблюдателям не разрешалось проверять списки избирателей. На половине Избирательных участках не сравнивались подписи в списках избирателей с числом бюллетеней в урнах. Доклад с нарушениями состоял на 16 страницах. B докладе также дается оценка предвыборной ситуации, которая характеризуется отсутствием плюрализма, права на свободу выражений и собраний, давлением на госслужащий с целью поддержки кандидата от власти. Медиа-среда в стране характеризуется крайним ограничением свободы выражения. На телеканалах и радио нет плюрализма, как и большинстве электронных ресурсов и веб-сайтов. Закрыты доступы к независимым сайтам. Гражданское общество и НПО страны не были допущены к процессу мониторинга и оценки выборов. Попытки членов азербайджанской делегации в лице Самеда Сеидова и других депутатов из Азербайджана оспорить выводы и оценки этого доклада на сессии ПАСЕ в Страсбурге, потерпели провал. 3.The ad hoc committee (Assembly delegation) visited Azerbaijan from 9 to 12 April It operated as part of an International Election Observation Mission (IEOM) together with delegations from the OSCE-PA and the OSCE/ODIHR electoral observation mission (EOM). The programme of the delegation’s meetings is set out in Appendix 2. 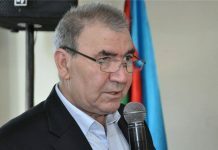 On polling day, the Assembly delegation split into 19 teams which observed the elections in Baku and the surrounding region, as well as in the following areas: Sumgayit, Khachmaz, Sheki, Guba, Shamaki and Lenkeran. The ad hoc committee wishes to thank the head and members of the parliamentary delegation of the OSCE-PA and the OSCE/ODIHR EOM for their excellent co-operation within the IEOM. The ad hoc committee wishes also to thank the secretariat of the delegation of Azerbaijan to the Assembly for its constructive co-operation. 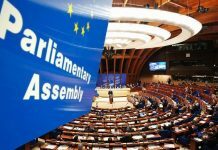 The Assembly’s ad hoc committee concluded that the early presidential election in Azerbaijan took place within a restrictive political environment and under laws that curtail fundamental rights and freedoms, which are prerequisites for genuine democratic elections. It stressed that fair and free elections are not possible in a repressive political environment where democratic principles are compromised and the rule of law is not observed. Against this backdrop and in the absence of pluralism, including in the media, the election lacked genuine competition. Other candidates refrained from directly challenging or criticising the incumbent, and a distinction was not made between his campaign and his official activities. The press release by the IEOM is set out in Appendix 3. The Republic of Azerbaijan has a presidential system of government under which the president exercises wide constitutional powers relative to the parliament. The president appoints and chairs the cabinet of ministers and appoints the vice presidents as well as the central and local executive The president also nominates the judges of the Constitutional Court, Supreme Court and courts of appeal, and the Prosecutor General, who are then formally appointed by parliament. Since 2016, the president can also dissolve the parliament, which effectively renders the parliament largely ineffective as a countervailing power to the president. 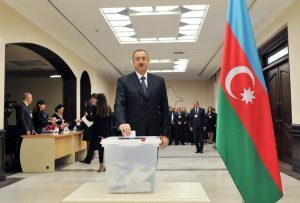 The early presidential election took place within a political environment dominated by the ruling New Azerbaijan Party (YAP), which holds a majority in President Aliyev, Chairperson of YAP, stood for a fourth consecutive term. Some opposition parties boycotted the election, referring to a non-competitive environment and pointing to limitations related to citizens’ participation in public Other parties chose not to put forward their candidates saying that the early election date left them with insufficient time to meaningfully participate. 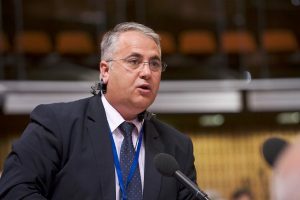 Several interlocutors noted that Ilgar Mammadov was prevented from running in this presidential election since he remains in prison, despite judgments of the European Court of Human Rights. IEOM observers reported numerous indications of serious violations, including evidence of ballot box stuffing (4%), series of seemingly identical signatures on the voter list (8%), as well as group, proxy and multiple voting (3%, 2% and 1%, respectively). Procedures related to inking, a safeguard against multiple voting, were frequently disregarded, as voters were not always checked for traces of invisible ink (17%) or were not inked before receiving a ballot (11%). A number of legally prescribed procedural steps in the counting were often Almost one quarter of PECs observed did not cancel unused ballots and about half of them did not enter figures in the protocol before opening the ballot boxes – both important safeguards against manipulations during the count. In more than two thirds of the counts observed, the ballots were not stamped on the back, as prescribed by the law. The official results were announced by the CEC on 15 April and confirmed the election of the incumbent with 86.02% of the number of valid votes (3 946 439). The voter turnout, as announced by the CEC, was 30% of the total number of voters (5 332 817). period. The election administration was well-resourced and prepared the election efficiently. On election day, international observers reported widespread disregard for mandatory procedures, lack of transparency, and numerous serious irregularities, such as ballot box stuffing. The election administration at all levels appeared highly organised and well-resourced. 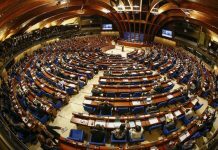 The formula for appointing election commissions does not guarantee an impartial election administration, as evidenced by the case law of the European Court of Human Rights, given that there is no political differentiation between the three groups in the parliament that nominate the commissioners. The decision making by the CEC and the Constituency Election Commissions (ConECs) was not fully transparent, as the minutes of their sessions were not made public. The CEC conducted an extensive public information campaign aimed at increasing voter turnout. Around 5.2 million voters were registered in the permanent voter register maintained by the CEC. Voters were provided with ample opportunity to verify their records and could request corrections. Data provided by State authorities show that the number of registered voters is almost two million lower than the approximate number of citizens of voting age, raising questions related to the accuracy of the figures. The CEC registered eight candidates. It denied registration of two nominees, arguing that they lacked sufficient supporting signatures as they submitted a considerable number of duplicate or invalid ones. The verification of support signatures conducted by a CEC working group didn’t clearly demonstrate that the process was technically adequate and accountable. Deficiencies in the verification process were previously found by the European Court of Human Rights to contravene Article 3 of the Protocol to the European Convention on Human Rights (ETS No. 9). The IEOM was informed about cases where public-sector employees and university students were compelled to attend YAP campaign activities, as well as several YAP events where those in attendance were prevented from Such pressure on voters raised concerns as to whether the campaign was conducted in a fair and free atmosphere. authorities and their activities. As there are no broadcast or print media that critically analyse government policies, dissenting opinions regarding the authorities’ performance were absent from newscasts. Most of the political coverage was given to the incumbent in his official capacity, while all other candidates combined received only a fraction of the time. Throughout election day, IEOM observers reported indications of ballot box stuffing, series of seemingly identical signatures on the voter lists, and group, proxy and multiple Notably, many observers were not allowed to scrutinise voter lists. IEOM observers assessed negatively more than half of the vote counts observed, largely due to deliberate falsifications (17 cases), along with an obvious disregard for prescribed procedures, which did not allow the PECs to properly reconcile figures. 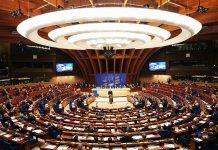 The Assembly’s ad hoc committee recalls that Azerbaijan has signed and ratified the European Convention on Human Rights (ETS No. 5) and its Protocol, which enshrine a number of principles crucial for an effective and meaningful democracy, such as the right to free elections (Article 3 of the Protocol), freedom of expression, freedom of assembly and association, as well as prohibition of discrimination (Articles 10, 11 and 14 of the Convention). 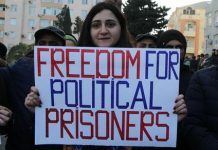 The Constitution of Azerbaijan guarantees fundamental rights and freedoms, including the freedoms of assembly, expression, association, and access to information, the right to take part in political life and the right to redress. The Constitution also provides for universal, equal and direct suffrage by secret ballot. These constitutional guarantees are in practice restricted by provisions in the Criminal Code, especially those related to defamation, and other legal and administrative restrictions on freedoms of assembly, expression and association. 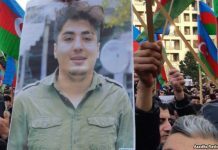 Recent case law of the European Court of Human Rights suggests systemic problems in Azerbaijan concerning the exercise of freedom of speech and association. The space in which civil society organisations, including those involved in election observations, can operate is increasingly confined by restrictive legislation, including on foreign This is likely to have a chilling effect on civil society. Presidential elections are primarily regulated by the 1995 Constitution (last amended in 2016) and the comprehensive 2003 Election Code (amended in 2013 and 2017), which governs all elections and referenda. The Election Code is detailed and well-structured. The CEC has issued a number of regulations and instructions to implement and to further detail the Election Code. Azerbaijan is a party to major international and regional instruments related to the holding of democratic elections. While a few previous ODIHR recommendations have been partially taken into account, none of the priority recommendations of ODIHR and the Venice Commission were addressed, including those related to fundamental freedoms, as well as key recommendations in the Venice Commission opinions on constitutional amendments, electoral law and NGO legislation. several international human rights bodies. The Venice Commission concluded that the 2016 amendments allowing for the incumbent president to call for early presidential elections were incompatible with democratic standards. The presidential election was administered by the CEC, 125 constituency election commissions (ConECs) and 5 426 precinct election commissions (PECs), with 18, 9 and 6 commission members, respectively. All election commissions are permanent bodies appointed for a five-year term, with the current composition established in 2016. CEC members are elected by parliament, ConEC members are appointed by the CEC, and PEC members are appointed by the respective ConECs. Three of the 18 CEC members are women, including one of the two secretaries. At the ConEC and PEC level, 17% and 36% of members, respectively, are women. Only two out of 125 ConECs are chaired by women, while around half of PEC chairpersons are women. By law, the composition of all election commissions reflects the representation of political forces in parliament: three equal quotas are reserved for members nominated by the parliamentary majority, the minority (defined as the remaining political parties represented in parliament), and parliamentarians elected as independent candidates. 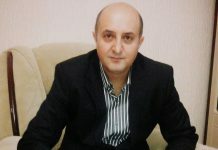 As found by the European Court of Human Rights in several cases, and which suggests a systemic flaw in the electoral system of Azerbaijan, the formula for appointing election commissions does not provide for an impartial election administration in practice, given that there is no political differentiation between the three groups in the parliament that nominate the commissioners. Moreover, the chairpersons of all commissions are, by law, nominees of the parliamentary majority. Most candidates expressed their trust in the work of the election administration, while some opposition parties stated that the mistrust in the election administration is one of the reasons for their decision to boycott the election. While many ConECs met their legal obligation to publish decisions on their noticeboards, at least one quarter of those observed did not do that. The transparency of the work of ConECs was further lessened by the fact that ConEC sessions were frequently called on an ad hoc basis and that ConEC decisions were not published Minutes of the CEC and ConEC sessions were not published, as this is not required by law. The CEC conducted an extensive public information campaign aimed at increasing voter turnout and distributed information posters and produced television and radio spots, which were broadcast during the pre- election period. The campaign did not, however, focus on informing voters about their rights. The authorities made efforts to facilitate voting for persons with disabilities. The CEC informed the IEOM that it provided braille ballot sleeves for visually impaired voters and installed ramps at all 1 455 polling stations where voters with physical disabilities were registered to vote. 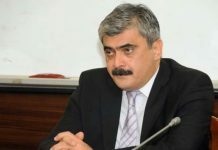 All ballot papers, protocols and other official election materials, as well as voter education and information materials, were produced exclusively in the Azerbaijani language. Voters were provided with ample opportunity to verify their voter list records. They could check voter lists through online tools or by using a CEC hotline. The CEC published online the complete set of permanent voter lists, disaggregated by precinct. Preliminary extracts of voter lists were displayed at PECs for public scrutiny from 7 to 17 March, when voters could also check their data in person and request Until 8 April, voters could request de-registration voting cards (DVCs), which allow them to vote in any polling station in the country. According to the CEC, a total of 150 000 DVCs were printed, of which more than 20 000 were issued to voters by the legal deadline. Data provided by State authorities show that the number of voters in the lists is almost two million lower than the approximate number of citizens of voting age, raising questions related to the accuracy of the By law, citizens can register to vote on election day itself through a decision of the PEC, if they can prove their residence within the precinct. Although inclusive, as an approach, voter registration by PECs on election day is not in line with international good practice. Candidates can be self-nominated or be nominated by political parties (or coalitions) or groups of voters. To be registered, the nominated candidates have to collect at least 40 000 supporting signatures from registered voters. The CEC has seven days to check the submitted signatures. If identified errors reduce the number of valid signatures below the required number, the law does not foresee the possibility for nominees to address shortcomings. Furthermore, a voter can only sign in support of one candidate, which can be seen as a limitation of political The combination of these rules may hinder prospective candidacies. The candidate registration period lasted until 12 Fifteen prospective candidates were nominated, of whom ten submitted supporting signatures. By 17 March, the CEC had registered eight candidates, all male. The CEC denied the registration of two nominees, arguing that they submitted a considerable number of duplicate or invalid signatures, leading to fewer than 40 000 valid signatures in both cases. Neither of the nominees appealed the CEC’s decision before a court, explaining that they lack trust in the integrity of the candidate registration process, the independence of the judiciary and in the possibility for genuine legal redress. The CEC informed the IEOM that it had provided the nominated candidates and their representatives with the possibility to observe the verification process, as required by law. However, the two unregistered nominees both claimed that they had not been invited to observe the verification of their supporting signatures. The verification of the submitted signatures was conducted by a CEC working group and formed the basis for the respective CEC decisions to register or deny registration of candidates. Working group members explained that the process involved visual checks of signature entries, as well as visual checks for suspected duplicate The working group did not check entries on the signature lists against the electronic and searchable voter lists, but only checked the date of birth and whether ID card numbers were structurally consistent. It relied on a process of comparing signatures solely through visual spot-checks across hundreds of sheets, which cannot be considered to be complete and reliable. The working group was unable to clearly demonstrate that the process was technically adequate and accountable. The official campaign period commenced on 19 March and lasted for 22 days, until 24 hours before the start of voting on election The CEC designated 168 indoor and outdoor venues throughout the country for campaigning. Overall, the campaign generated limited public engagement. In a number of instances, public-sector employees and university students informed the IEOM that they had been compelled to attend election campaign rallies organised by the YAP. 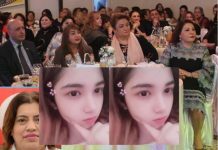 On several occasions people attending YAP activities were prevented from voluntarily leaving the event by party officials and/or On a number of occasions, the exits from the YAP events were locked, for example at the opening YAP campaign event on 19 March in Baku. Such pressure on voters raised concerns over whether the campaign was conducted in a fair and free atmosphere. 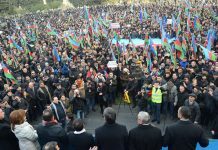 On 10 and 31 March, there were two protest rallies in Baku organised by the opposition. In the periods preceding each protest, organisers from one party stated that many party members had been questioned and some had been detained by The Ministry of the Interior informed the IEOM that these allegations were untrue. Both cases raised doubts over the ability of political parties to campaign freely as well as the ability of citizens to engage in political activity without the fear of retribution, challenging Articles 10 and 11 of the European Convention on Human Rights. 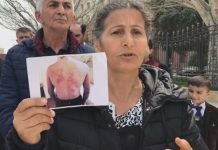 Moreover, recent case law of the Court suggests a willingness by the Government of Azerbaijan to use unlawful detention and arbitrary application of criminal proceedings to limit freedom of expression and association. This is not indicative of a free campaign environment2. 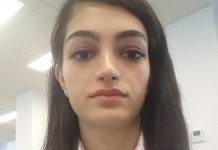 See Tahirov v. Azerbaijan, Application No. 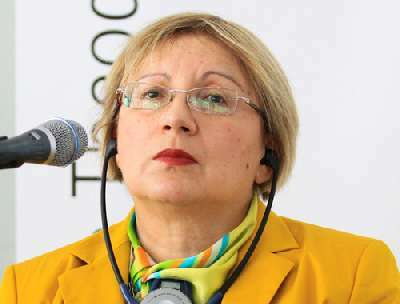 31953/11, judgment of 11 June 2015, and Annagi Hajibeyli v. Azerbaijan, Application No. 2204/11, judgment of 22 October 2015. The Court held that signature verification procedures did not provide sufficient safeguards to prevent arbitrary decisions. The Court therefore concluded the violation of Article 3 of Protocol No. 1 to the European Convention on Human Rights following an arbitrary refusal to register an independent candidate in the last 2010 parliamentary elections. In the Annagi Hajibeyli v. Azerbaijan case in 2016, the Court declined to strike out the application under Article 37 of the Convention on the grounds that Azerbaijan had made an unilateral declaration with a view to resolving the issues related to candidate registration. The Court noted that the numerous complaints brought before the Court after each parliamentary election “appear to disclose an existence of systematic or structural issues which call for adequate general measures to be taken by the authorities”. Presidential candidates are only allowed to finance their campaigns from private funds and The law prohibits contributions from foreign countries and citizens, international organisations, State bodies and municipalities, charitable organisations, religious associations and anonymous donors. 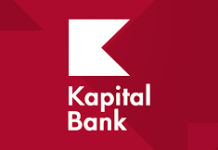 Nominated candidates must open a special account for their campaign transactions with a bank determined by the CEC who is in charge of overseeing campaign The maximum amount a candidate can spend for campaign purposes is AZN 10 million (around €4.79 million). The ceiling for contributions is set at AZN 3 000 from individuals, AZN 50 000 from legal entities, and AZN 250 000 from the nominating party or group of voters. Presidential candidates participating in elections are required to submit to the CEC three financial reports on campaign contributions received, and their expenditure: an initial report at the time of registration, an interim report between 20 and 10 days prior to election day, and a final report within 10 days of the publication of the final results. The CEC can audit the reports and request additional information from candidates. All registered candidates submitted their first and second financial reports, which the CEC posted on its website as required by The absence of a legal requirement to publish the findings of audits limits the transparency of campaign financing. Freedom of expression, media freedom and the right of access to information are guaranteed in the Constitution. However, highly restrictive legislation challenges these constitutional guarantees. Defamation and libel remain criminal offences, from 2016 also applicable to online content, with a penalty of up to three years imprisonment, or up to five years imprisonment if it targets the president. This limits the freedom of expression that is key to political campaigning. Journalists and bloggers are also becoming the subject of arbitrary arrest and detention – on criminal charges that are seemingly unrelated to their professional activities but are viewed by IEOM interlocutors as retaliation for critical The IEOM was informed by a number of broadcasters about the practice of refraining from any critical coverage of high-ranking government officials and their families. In line with legal requirements, the public broadcaster allocated free airtime that was used exclusively for nine one-hour-long roundtables on TV and radio respectively, in which seven candidates took part while the incumbent was represented by a proxy. While these roundtables provided candidates with a platform to present their views, their value was diminished by the non-participation of the incumbent. The participation of all candidates in the TV debates is key to allowing electors to make a well-informed choice. The contestants devoted significant time to attacking and condemning the opposition parties, movements and individuals that chose to boycott the election or not participate in Three State-owned newspapers provided every candidate with free space. 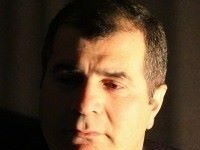 See Rasul Jafarov v. Azerbaijan, Application No. 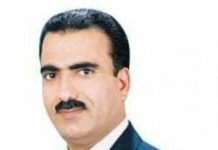 69981/14, judgment of 17 March 2016, and Ilgar Mammadov v. Azerbaijan, Application No. 15172/13, judgment of 22 May 2014. In both cases the Court found a violation of Article 18 in conjunction of Article 5 of the European Convention on Human Rights, and which reads: “The restrictions permitted under [the] Convention to the said rights and freedoms shall not be applied for any other purpose other than those for which they have been prescribed.” Finding a violation of this provision requires a very exact standard of proof, and means that the Government of Azerbaijan has acted in bad faith to undermine the rights protected by the European Convention on Human Rights. president, including through extensive coverage of ceremonial events, such as opening of the roads, hospitals and factories. As there are no broadcast media that critically analyse government policies, dissenting opinions regarding the authorities’ performance were absent from newscasts. The coverage of candidates in newscasts was often paid for, although the broadcasters did not consistently identify paid advertisements as such. The definition in the Election Code of what constitutes election campaigning, and the rules for campaign coverage by the media, rendered any election-related current affairs programmes impossible outside of newscasts. State-owned AzTV is by law prohibited from airing any campaign-related materials. It interpreted this limitation as prohibiting them from covering any campaign activities in its newscasts. Consequently, it devoted a total of 17 seconds to all contestants during the entire campaign At the same time, it provided extensive coverage of the activities of the president, who received about five hours of coverage. According to the Election Code, complaints can be lodged by voters, candidates, political parties or coalitions of parties, agents of registered candidates and observers. A complaint can be filed against a decision or an action (or lack of action) which violates electoral rights. Cases should be filed with the election commission superior to the one whose decisions, actions or inactions are challenged. CEC decisions can be appealed to the Court of Appeal, whose decisions can be challenged before the Supreme The Election Code provides for short deadlines for the filing and adjudication of complaints. The time frame for submitting a complaint or appeal is three days from the day a violation occurred, or a decision was adopted or published, or the day the plaintiff was informed of the decision. Complaints and appeals lodged less than 30 days before election day must be decided upon within two days. Complaints submitted on or after election day must be decided on immediately.The IEOM is not aware and has not been informed of any complaints filed at any level of election administration and the courts before election day. Several IEOM interlocutors specifically stated that they would not file complaints since they do not trust election commissions and courts to handle their complaints in an impartial and professional manner. The Election Code provides for citizen and international election observation. Domestic observers can register to observe individually, or as representatives of candidates, political parties or According to the CEC, a total of 58 175 domestic observers were registered by the ConECs and the CEC, including 4 041 observers accredited by NGOs; a total of 894 international observers were also accredited. The political parties that were boycotting the election or not participating in it informed the IEOM that they would not observe the election process. A number of IEOM interlocutors maintained that restrictive legal provisions related to foreign funding limit the possibility of civil society organisations to train and deploy observers. Some NGOs previously active in election-related activities, including in citizen observation, said that their operational capacities had been heavily restricted by obstacles introduced by the government and the election administration. 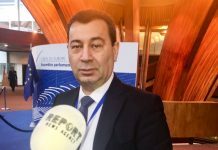 The Election Monitoring and Democracy Studies Center (EMDS) has significant experience in conducting independent and professional observation both in Azerbaijan and abroad but remains unregistered since 2008 and thus without legal Its volunteers therefore had to accredit themselves individually. The EMDS indicated that some of its volunteers had experienced difficulties in acquiring accreditations. 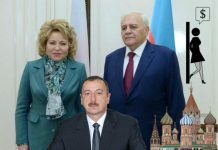 Baku, 12 April 2018 – The early presidential election in Azerbaijan took place within a restrictive political environment and under laws that curtail fundamental rights and freedoms, which are prerequisites for genuine democratic elections. Against this backdrop and in the absence of pluralism, including in the media, the election lacked genuine competition. Other candidates refrained from directly challenging or criticising the incumbent, and distinction was not made between his campaign and his official activities, the international observers concluded in a preliminary statement today. At the same time, the authorities were co-operative and international observers were able to operate freely in the pre-election period, and the election administration was well resourced and prepared the election efficiently. Overall, the campaign generated limited public engagement. The ruling party campaign in favour of the incumbent was well-organised and well-resourced, while the candidate did not campaign himself but made visits across the country and received many high-profile foreign dignitaries in his official capacity. The campaigns of the other seven candidates were limited and appeared hampered by a lack of regional structures and resources. 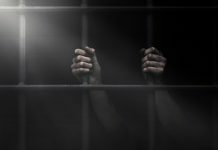 Highly restrictive laws related to the media challenge the freedoms of expression and the press, and extend also to website and social media content. Defamation is a criminal offence, punishable by imprisonment and with additional penalties for defamation of the president, further limiting the freedom of expression key to political campaigning, the observers said. The largest part of the political coverage in media outlets monitored was of the incumbent in his official capacity, while all other candidates combined received only a fraction of the time. As required by law, the public broadcaster allocated free airtime to candidates, although only through roundtable discussions on television and radio. The election administration at all levels appeared highly organised and well-resourced but, due to the lack of political differentiation between the three groups in parliament that nominate commissioners, there is no guarantee the administration is impartial, the observers said. The Central Election Commission held regular public sessions at which no dissenting or argumentative opinions were stated, and the majority of members did not engage in any discussions. The CEC reported registering a total of 58 175 domestic observers, including 4 041 accredited by NGOs, while a number of the international observers’ interlocutors maintained that obstacles introduced by the government and the election administration limit the ability of civil society organisations to operate. One such organisation remains unregistered since 2008, and its volunteers had to accredit themselves individually, some of them facing difficulties. This was the first presidential election since constitutional amendments in 2016 further increasing the powers of the president. A number of constitutionally guaranteed fundamental rights and freedoms related to elections are subject in practice to legal and administrative restrictions. The Election Code is detailed and well- structured. Although a few previous ODIHR recommendations in this area have been taken into account, none of the priority recommendations by ODIHR and Venice Commission were addressed.